Hard Knocks is a reality sports documentary television series produced by NFL Films and HBO. The show was first broadcast in 2001, and the current 2018 season is the thirteenth. Each season, it follows a National Football League (NFL) team through its training camp and covers the team's preparation for the upcoming football season. The series shows the personal and professional lives of the players, coaches and staff, including their family life, position battles, and even inside jokes and pranks. It particularly focuses on rookies' adjustments to playing in the NFL, usually with emphasis on the team's most recent top draft pick. It usually also chooses to focus on undrafted and journeyman players who are attempting to make the team. The NFL and HBO have called Hard Knocks "the first sports-based reality series" in television history. The series was created by Marty Callner in 2001. 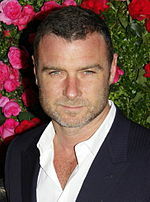 The series has been narrated by Liev Schreiber since 2001, with the only exception being the 2007 season which was narrated by Paul Rudd, a fan of the Kansas City Chiefs. The San Francisco 49ers, Atlanta Falcons, Seattle Seahawks, Houston Texans, and Washington Redskins each declined to be the show's featured team for the 2013 season, while the Cincinnati Bengals accepted, marking their second appearance on the show. NFL Commissioner Roger Goodell subsequently said that he wanted more teams to be featured on the series, on "some kind of formal rotation." Despite the difficulty each year in finding a team willing to participate, NFL Films announced on July 18, 2013, that it had signed a "multiyear" contract extension with HBO to continue producing the show. In October 2013 the NFL announced that, in the absence of a team volunteering to participate in Hard Knocks, the league could force a team to participate. Teams are exempt from being forced to participate in three circumstances: (1) they have appeared in the past ten years, (2) they have a first-year head coach, or (3) they reached the playoffs in either of the two preceding seasons. The team looking to repeat as Super Bowl winners. Rookies Todd Heap and Dwayne Missouri's adjustment to professional football. The team's adjustment after a season-ending injury to Jamal Lewis. The veterans on the team in the final years of their careers (Shannon Sharpe, Rod Woodson, Qadry Ismail, and Tony Siragusa). The quarterback competition between Elvis Grbac and Randall Cunningham. Ozzie Newsome and Brian Billick's management of the team. Quincy Carter's pressure to stay the consistent starting quarterback and the acquisition of Chad Hutchinson as a backup quarterback. Rookie Roy Williams's adjustment to professional football. Emmitt Smith beginning his final season in Dallas, and his pursuit to become the NFL's all-time rushing yards leader. Dave Campo heading into his third (and eventually, final) season as Dallas's head coach. The series returned on August 8, 2007, featuring the Kansas City Chiefs and their preparations for the 2007 season. It is the only season of the series not narrated by Liev Schreiber. 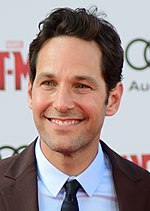 Instead, actor and Chiefs fan Paul Rudd was the narrator. The battle for the starting quarterback job between veteran Damon Huard and second-year player Brodie Croyle following the trade of Trent Green. Star running back Larry Johnson's contract holdout. Priest Holmes's attempted return to football after missing all of 2006 after a career-threatening neck injury. The contract holdout and later development of rookie wide receiver Dwayne Bowe, the Chiefs' first-round draft pick of 2007. Boomer Grigsby's switch from linebacker to fullback. The development of rookie defensive linemen Tank Tyler and Turk McBride. The competition between two undrafted cornerbacks - Tyron Brackenridge and Dimitri Patterson. Arena Football League star Bobby Sippio's attempt to catch on with an outdoor team. The Dallas Cowboys were chronicled for the second time on the television series' fourth season, which premiered on August 6, 2008. Cornerback Adam "Pacman" Jones' reinstatement into the NFL. Cameron Fegreus (free agent from Woodhaven, Michigan) attempting to make the team. Keon Lattimore, a younger brother of Ray Lewis, competing for a job. Todd Lowber, a very athletic wide receiver new to the game of football, trying to make the team. Undersized wide receiver Danny Amendola competing for a job. Rookies Felix Jones and Martellus Bennett adjusting to NFL camp for the first time. The Cincinnati Bengals season premiered on August 12, 2009. Its ratings were higher than any previous season of Hard Knocks, and it won two Sports Emmy Awards: one for Outstanding Edited Sports Series or Anthology, and one for Outstanding Post Produced Audio / Sound. The battle for the starting fullback position between Jeremi Johnson, Chris Pressley, Fui Vakapuna, and J.D. Runnels. The injuries of tight ends Reggie Kelly and Ben Utecht, and the adjustment of rookie tight end Chase Coffman to the NFL. The contract holdout of offensive tackle Andre Smith, the Bengals' first-round draft pick of 2009. The battle for the starting strong safety position between veteran Roy Williams and Chinedum Ndukwe. The recovery effort of starting quarterback Carson Palmer from an injury-plagued 2008 season. The antics and catchphrases of wide receiver Chad Ochocinco (who is now Chad Johnson). The development and maturation of wide receiver Chris Henry. The New York Jets were chronicled in the series' sixth season. An official announcement was made on March 25, 2010, and HBO began airing it on August 11, 2010. It won the series' second consecutive Sports Emmy Award for Outstanding Edited Sports Series or Anthology. The Jets declined another opportunity to appear in the series in 2011. The vocal coaching style of head coach Rex Ryan, highlighted by several sound bites that became popular after the season, such as "That's being a jackass!" and "Let's go eat a goddamn snack!" Cornerback Darrelle Revis's contract holdout. The battle for the starting fullback position between veteran Tony Richardson, journeyman Jason Davis and rookie John Conner. Second-year starting quarterback Mark Sanchez's development as the "face" of the franchise. Kris Jenkins's return after ACL surgery. Running back Danny Woodhead's attempt to make the team. Cornerback Antonio Cromartie attempting (and failing) to name all 9 of his children. At the end of July 2011, NFL Films announced it would not be producing Hard Knocks for the 2011 season. No team wanted to commit to the series due to uncertainty with the NFL's labor situation. A retrospective on the series titled Hard Knocks: A Decade Of NFL Training Camps was made featuring clips from every episode made to that point, and including comments looking back on the series from Brian Billick, Shannon Sharpe, Mike Westhoff, and others. On May 29, 2012, Miami Dolphins head coach Joe Philbin announced that the team would participate in the 2012 season of Hard Knocks. The contract negotiation of Ryan Tannehill, followed by his development as a rookie quarterback in the NFL. The quarterback position battle between Matt Moore, David Garrard and Ryan Tannehill, with Tannehill winning the starting job after week 2 of the pre-season. The health issues of David Garrard, especially after undergoing knee surgery during training camp. He was released from the team the same day this season's final episode aired. The difficulty of Les Brown in adjusting from former college basketball player to NFL tight end, and his subsequent release from the team. The meeting in which Philbin informs Chad Johnson (formerly Chad Ochocinco) of his release from the team following his arrest for allegedly headbutting his wife of 41 days. The meeting in which general manager Jeff Ireland informs cornerback Vontae Davis that he was traded to the Indianapolis Colts for two future draft picks. The Cincinnati Bengals were featured in the 2013 season, which was the team's second appearance on the show. The first episode of the season premiered on August 6, 2013. Estonian rookie defensive end Margus Hunt's adjustment to the NFL and life in the U.S. The linebacker position battle between undrafted rookies Jayson DiManche and Bruce Taylor. Linebacker Aaron Maybin's struggle to stay on the team and his pursuit of painting. On June 12, 2014, the Atlanta Falcons announced that the team would participate in the 2014 season of Hard Knocks premiering on August 5, 2014. The Falcons attempt to build more toughness into the team after a disappointing 2013 season. Veteran Kroy Biermann's attempt to return from a major injury and switch positions. Rookies Tyler Starr and Jaques Smith's attempt to make the team. On May 27, 2015, it was announced the Houston Texans would be the team featured for the 2015 season premiering on August 11, 2015. Head coach Bill O'Brien trying to lead the team to the playoffs after finishing just short in 2014. The quarterback battle between Ryan Mallett and Brian Hoyer. Vince Wilfork bringing leadership and experience to Houston. Jadeveon Clowney returning from a torn meniscus. Reigning Defensive Player of the Year J. J. Watt trying to become an even better player. Rookies Kevin Johnson and Jaelen Strong adjusting to life in the NFL. David Quessenberry recovering from cancer. Kourtnei Brown, Uzoma Nwachukwu, and Charles James trying to make the team. On March 23, 2016, it was announced the Los Angeles Rams would be the team featured for the 2016 season premiering on August 9, 2016. William Hayes' unconventional beliefs about the existence of mermaids and dinosaurs. On April 19, 2017, it was announced the Tampa Bay Buccaneers would be the team featured for the 2017 season premiering on August 8, 2017. On May 17, 2018, it was announced the Cleveland Browns would be the team featured for the 2018 season premiering on August 7, 2018. First overall draft pick Baker Mayfield adjusting to life in the NFL. The quarterback battle between Mayfield and Tyrod Taylor. Josh Gordon returning to training camp for the first start since his second substance abuse policy violation in 2014. Hue Jackson trying to retain his position as head coach and win more games. Jarvis Landry assuming responsibility as a leader on the team. Rookie Antonio Callaway being unable to avoid run-ins with the law. Journeymen Devon Cajuste and Nate Orchard trying to make the team. In 2004, NFL Films produced a training camp documentary series, similar to Hard Knocks, that featured the Jacksonville Jaguars. Called Inside Training Camp: Jaguars Summer, it aired on the NFL Network, not HBO, and was narrated by frequent NFL Films narrator Robb Webb. ^ "Conflicting Reports on New York Giants Being Finalist for HBO's Hard Knocks". ^ "Hard Knocks - HBO Sports Goes Inside the NFL". ^ Gallagher, Jason (August 5, 2014). "Guts, Glory and Goddamn Snacks: A History of 'Hard Knocks'". Rolling Stone. Retrieved March 25, 2016. ^ Hanzus, Dan (June 26, 2013). "Roger Goodell talks 'formal rotation' for 'Hard Knocks'". National Football League. Retrieved March 25, 2016. ^ Hobson, Geoff (June 21, 2013). "Goodell brings safety message to town". Cincinnati Bengals. Retrieved March 25, 2016. ^ Rosenthal, Gregg (July 18, 2013). "NFL Films, HBO sign multiyear Hard Knocks extension". National Football League. Retrieved March 25, 2016. ^ Wesseling, Chris (October 8, 2013). "Owners pass 'Hard Knocks' rule at NFL Fall Meeting". National Football League. Retrieved March 25, 2016. ^ Chiefs to be featured in HBO's "Hard Knocks" this summer KCChiefs.com, June 2, 2007. ^ "Entertainment". 10 September 2014. ^ "Bengals home on HBO". ^ Sabol: Best "Hard Knocks" Ever by Geoff Hobson, Bengals.com, September 9, 2009. ^ "Hard Knocks earns two Emmys". ^ "Hard Knocks: Reggie Kelly's injury". ^ a b c d e f "'Hard Knocks' revisited: Best of NFL's summer drama". ^ "Jets Sign On to Star in HBO's 'Hard Knocks'". ^ "The Emmy Awards - THE NATIONAL TELEVISION ACADEMY ANNONCES THE WINNER FOR THE 32ND ANNUAL SPORTS EMMY® AWARDS". Archived from the original on 2012-07-05. ^ "Bigger Threat to the New England Patriots in the AFC East: New York Jets or Buffalo Bills?". 16 July 2012. ^ "Hard Knocks: Let's go eat a snack". ^ "Hard Knocks: The Darrelle Revis meeting". ^ "Hard Knocks: Antonio Cromartie's kids". ^ "Lockout reality: No 'Hard Knocks' this summer". ^ "Miami Dolphins will be on HBO's 'Hard Knocks'". ^ "Ryan Tannehill named Dolphins' starting quarterback". ^ "David Garrard's absence clears up Dolphins' QB race". ^ "David Garrard released by Miami Dolphins". ^ Farrar, Doug (August 15, 2012). "Chad Johnson's Dolphins release makes for tough, emotional "Hard Knocks"". The Washington Post. Retrieved August 23, 2012. ^ "Dolphins trade Vontae Davis to Colts for draft picks". ^ "Hard Knocks: Vontae Davis traded to Colts". ^ "Cincinnati Bengals again will headline Hard Knocks". NFL.com. June 17, 2013. Retrieved June 17, 2013. ^ "Atlanta Falcons to be featured on HBO's 'Hard Knocks'". NFL.com. June 12, 2014. Retrieved July 15, 2014. ^ "Welcome backgrinder.com - BlueHost.com". ^ "Texans will star in 10th season of HBO's 'Hard Knocks'". NFL. May 27, 2015. ^ "Houston Texans Will Be Featured on Hard Knocks: Details, Reaction". Bleacher Report. May 27, 2015. ^ "Los Angeles Rams will be featured on 'Hard Knocks'". NFL. March 23, 2016. ^ "Buccaneers to appear on the 2017 season of 'Hard Knocks'". April 19, 2017. ^ Jacksonville Jaguars 2004 Season Preview by Mike Cowan, September 4, 2004.